Summer Camp - Book now! | Rushmount Equine Sports Ltd.
Riders will learn to walk, trot, canter, jump and how to vault (Gymnastics on Horse Back) As well as some sleigh riding and winter horse games. 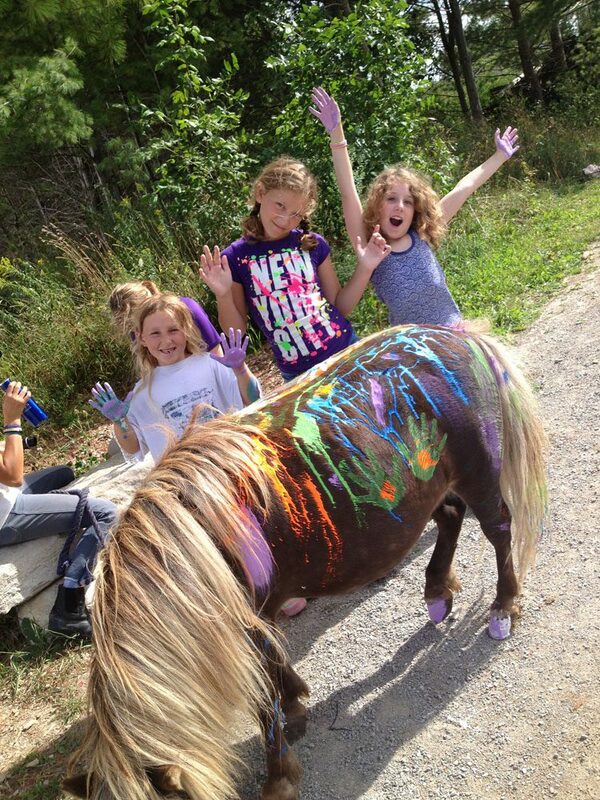 At Rushmount, camp is geared to be both fun and educational with certified Equine Canada Staff. The camp students day(s) will be filled with a wealth of learning opportunities; theory will include stable management, equine first aid, equine anatomy, the importance of hoof care with farrier demo, and much more. We provide a structured and safe learning environment. Your child will be treated as one of our own. They will have the opportunity to ride twice a day and in doing so, are required to wear long pants and boots with a 1″ heel, during their rides. We have certified helmets, but it is recommended that campers purchase there own. Ask about our camper packages. On Friday of each Camp week, Parents , Family, and friends, are invited to watch as the riders demonstrate their new riding skills in a mini horse show, complete with ribbons and a judge. The fee for a week of camp is $350 or $85 per day + HST. Before and after care is available at a rate of $5 per hour, per child. This must be prearranged.